Samishti Industries is one of the leading Cable Trays Suppliers in Hyderabad. In the modern day constructions the use of Cable Trays has become mandatory for the commercial building construction. 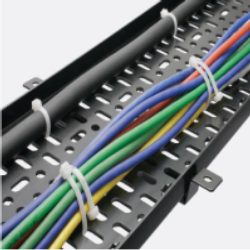 The Open Wireing system followed by most of the construction companies has given preference to cable trays for the ease in maintenance and use of these cable trays. Samishti Industries the Cable Trays Suppliers in Hyderabad has been in the industry for over 5 year now and has supplied quality Cable Trays for the top commercial builders in hyderabad. Samishti Industries the Cable Trays Suppliers in Hyderabad has been sourcing the Quality Cable Trays that can bear load and easy in maintenance. We have suggested cost effective Cable Trays for the customers applicantion needs.